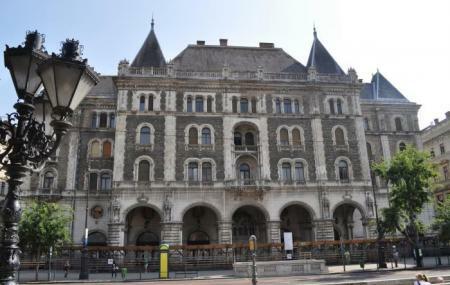 The Dreschler Palace has been an important representative of Budapest’s architecture in the past. It was considered of prime importance in the past and has been used for various different purposes overtime. The most recent and the longest that it was put to use was for being the Institute of Ballet and State of Artistic Institute. As of now, it is shut as no new purpose for the building has been decided upon. Nevertheless, there is beauty in even the simplest of the architecture here and you should visit to witness that. For entry inside the palace, special permission is required. You can visit the palace from outside at anytime of the day. How popular is The Dreschler Palace? People normally club together Attila Jozsef Statue and Szechenyi Medicinal Bath while planning their visit to The Dreschler Palace. Los edificios en Budapest son espectaculares, por desgracia la mayoria están abandonados o muy mal conservados.